The Long Insert is designed and engineered to slide into the long cell cavity of the stretcher block. The ribbed and bottom-notched side should be installed to the exterior face of the block. The bottom notch allows for the horizontal joint mortar to weep to the inside of the block without interfering with the insert installation. The Short Insert is designed and engineered to slide into the smaller cavity cells of the stretcher block. The ribbed with a middle vertical notch along with the bottom-notched side should be to the interior face of the block. The notches allow for both vertical and horizontal joint mortar to weep to the inside of the block without interfering with the insert installation. Each insert has a center vertical score and may be “snapped” into half before insulating the Omni Corner/Jamb Block cells. 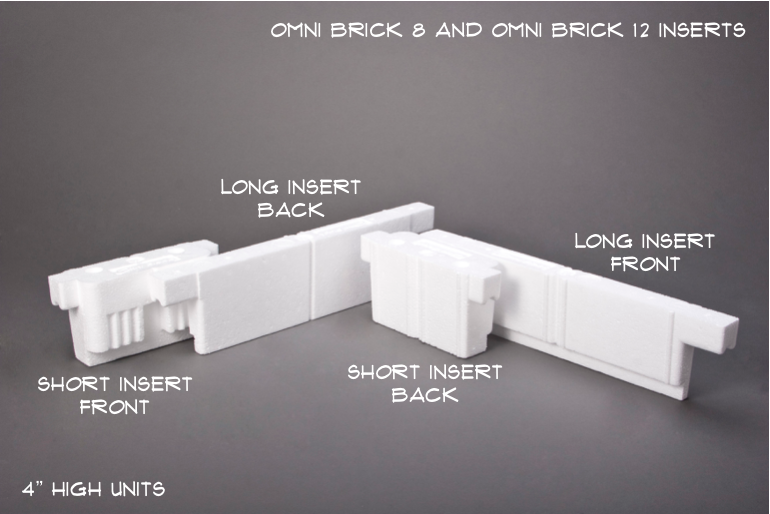 The Omni Brick inserts have the same design and installation characteristics as the System 8 and System 12 inserts. 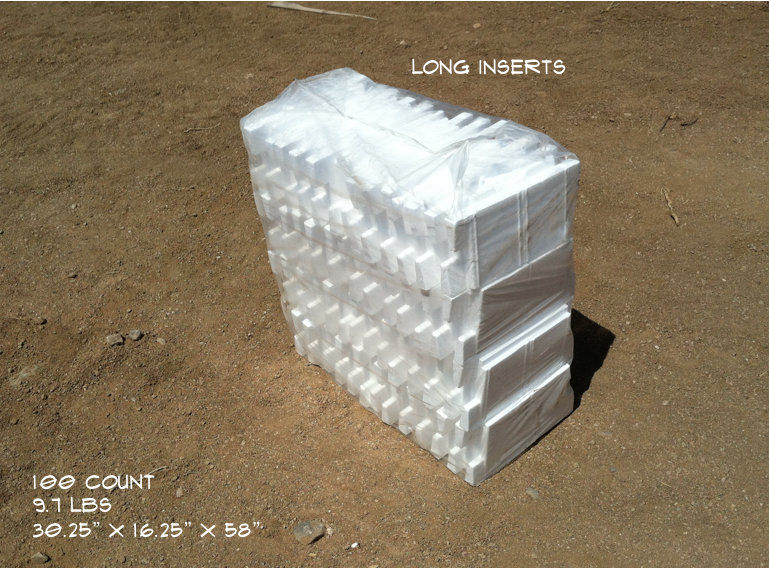 The photo to the left is how the inserts are packaged in uniform stackable bags. Shipping Specifications link provides the dimensions and weights of both insert models. 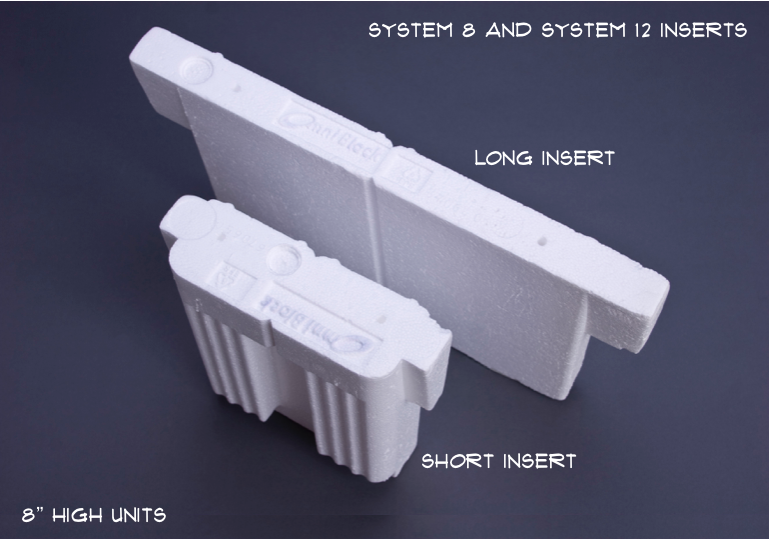 The Omni Brick inserts are packaged in the same bags as the System 8 and System 12 inserts, with the same overall dimensions, at a count of 200 per bag.